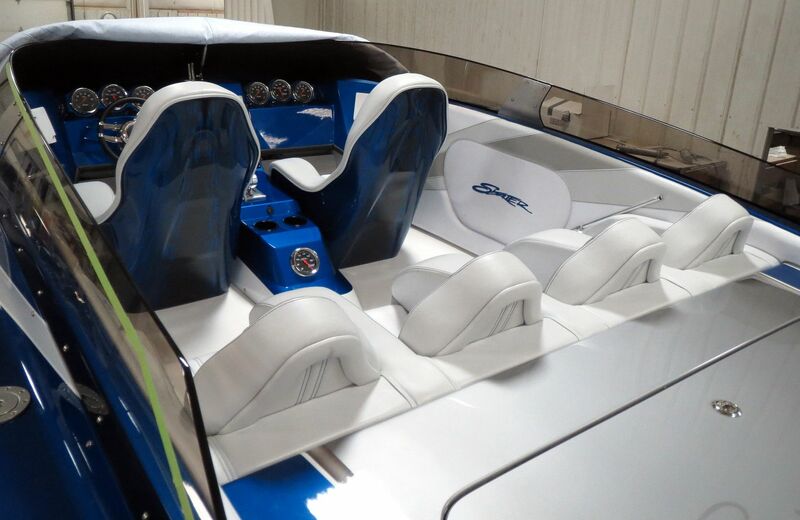 An awesome looking boat. Ready for polish and buff before clear! 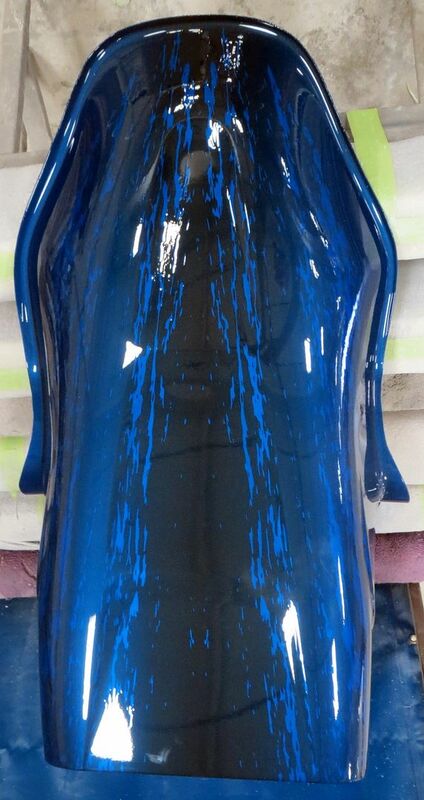 After polish, buff, clear, polish, buff, and final clear! Wow!!!! 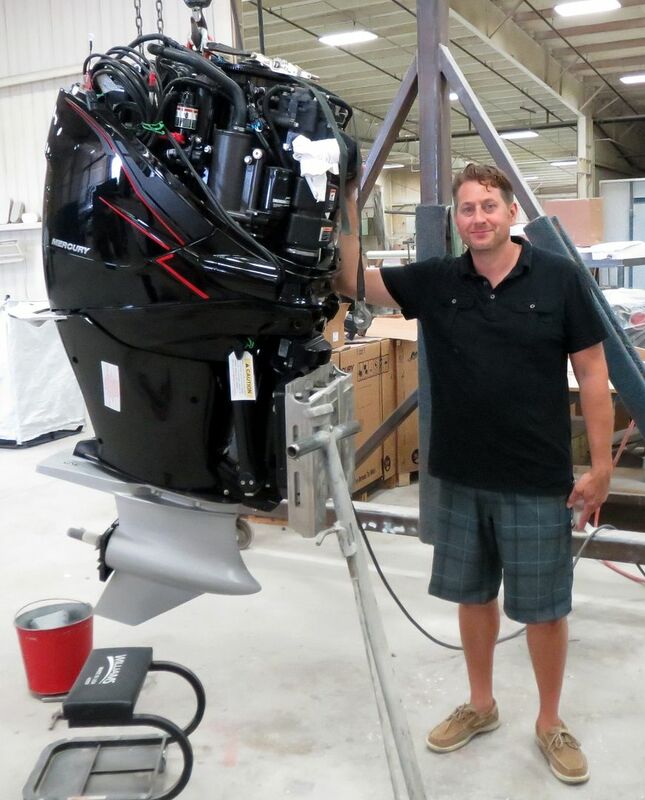 First "wide-body" 30 outboard cat built by Skater. 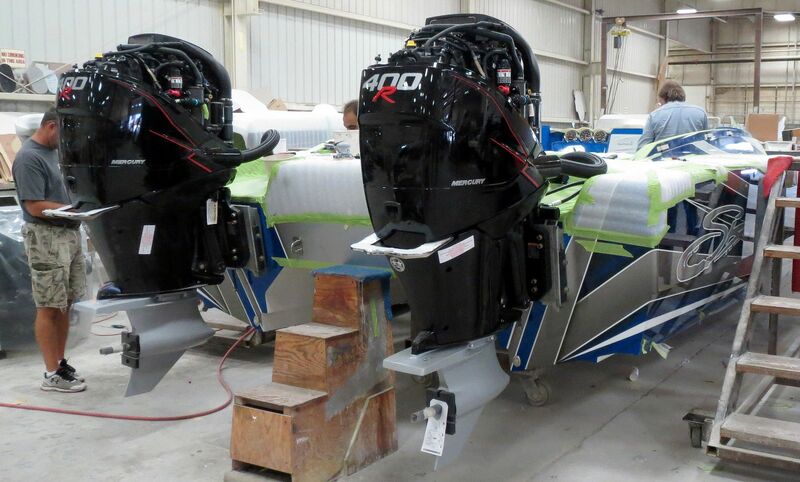 First Skater outboard cat to be specifically built for the heavier, and more powerful, Mercury Racing 400R's. First cat the owner will ever have owned! 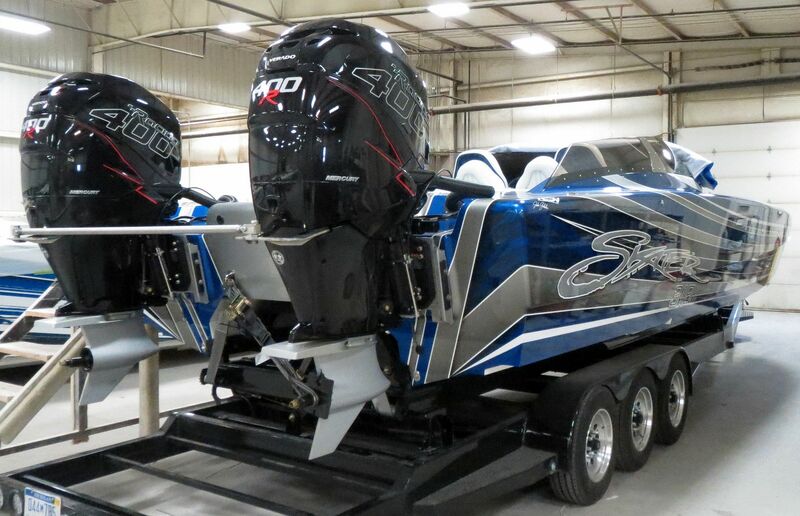 The tunnel on this boat is 63 inches wide, and the running surface is one foot longer than the current Skater 30. 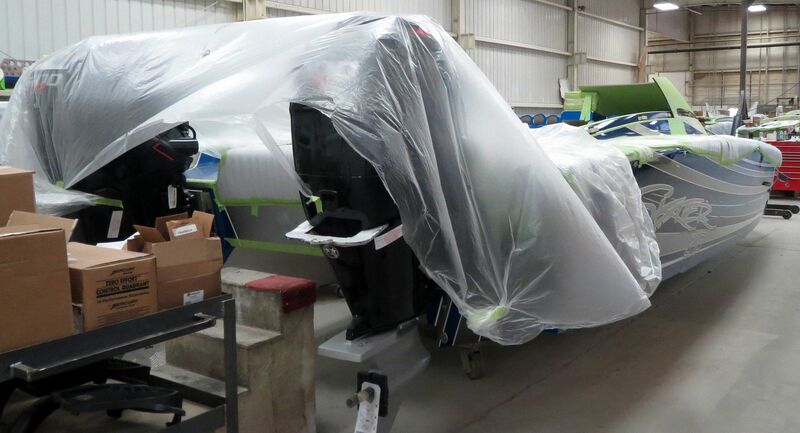 That modification to the design is to handle the heavier weight of the 400R engines, but it also happens to be the maximum tunnel width allowed in the Offshore Stock Outboard Catamaran classes. 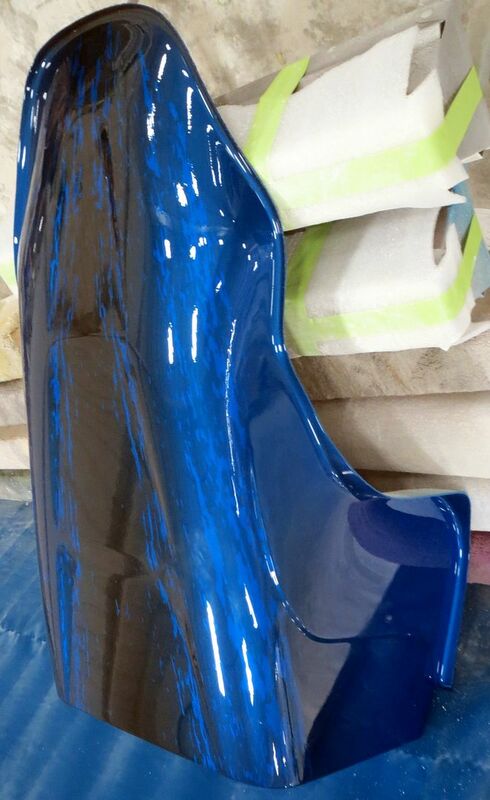 The 63" tunnel width is a full 10" wider than the current Skater 30. 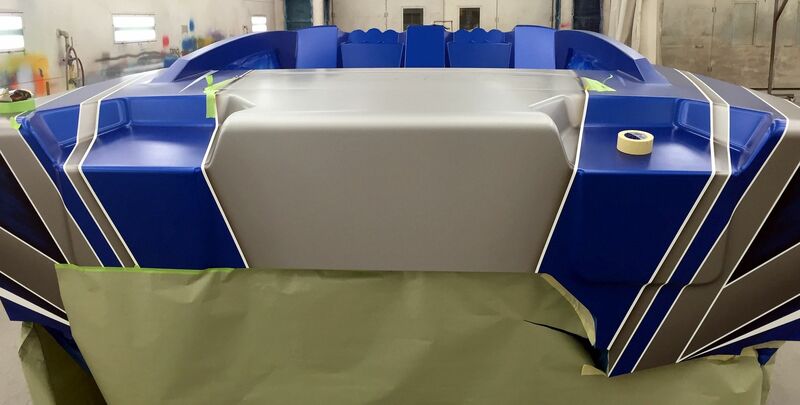 We cannot wait to see how this boat performs with the heavier engines. 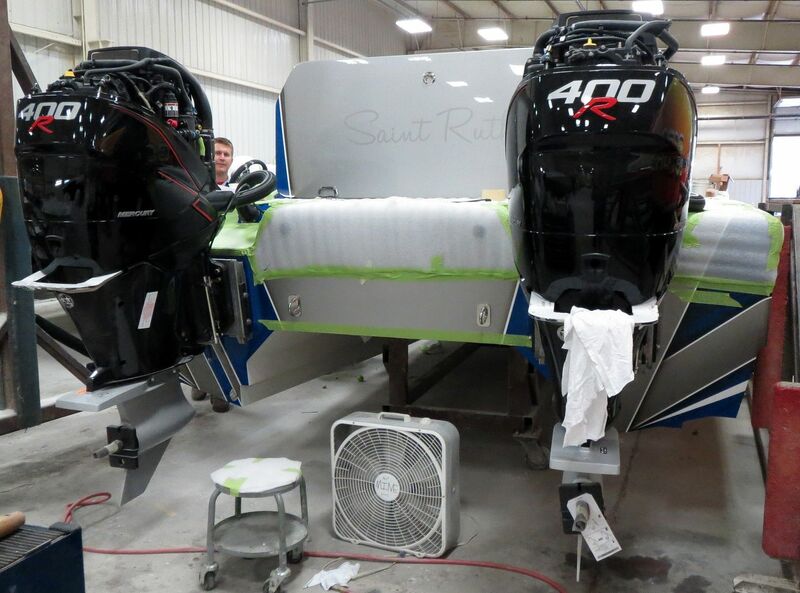 The Verado 400R is a whopping 668 lbs dry, where as the Optimax 300XS is 505 lbs dry. We will continue to keep you up to date as this beauty is completed, so check in every now and then to see how it is coming along. Rigging and testing, especially testing, should be fun for the Skater team. Nice match on the seats!! Tony getting those 400's ready. Sure hope I'm around for the first test drive!! 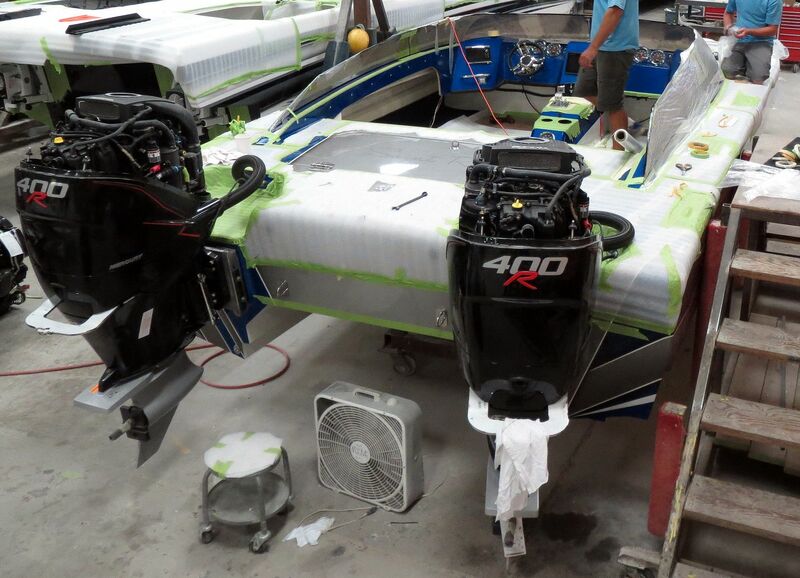 Well, the boat is at Mercury with the Skater team in charge of working with Mercury Racing to set it up. They have numerous props to test, can't wait to hear the results!! 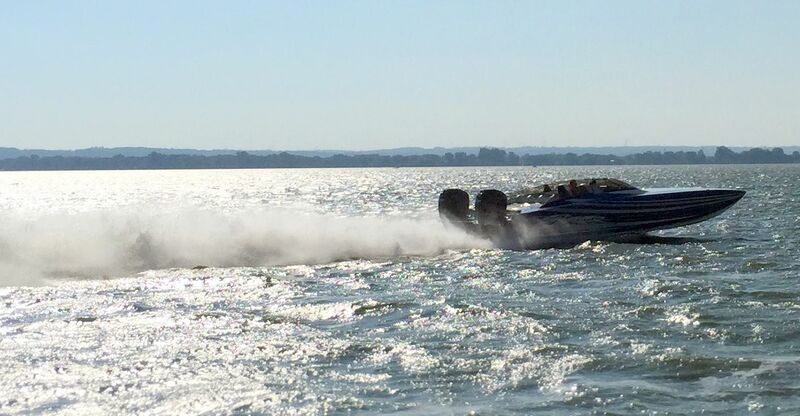 Well, the boat made it to Mercury Monday, but there was a problem with the power steering pump and a new one had to be air'd in overnight, so no testing on day one. There is no one who can look at this photo and say that Mercury was not very interested in this boat!! 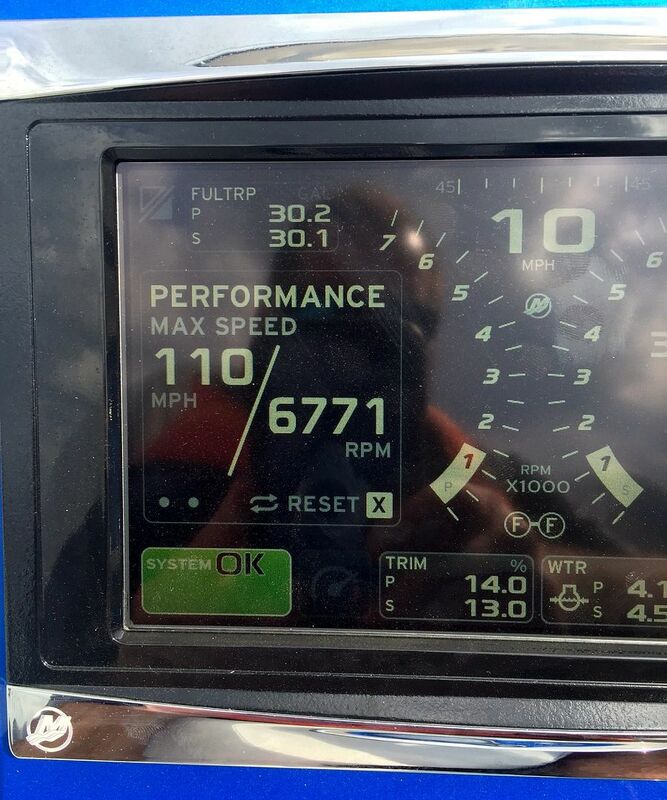 After its 114 mph tests at Mercury Racing, the 318 is back at Skater for minor tweaking.